Thank you for your interest in our school and I hope we may serve the needs of your family. I grew up in the Charlotte Mecklenburg School system. I taught for CMS and other schools, and then owned and operated a tutoring business in the community. 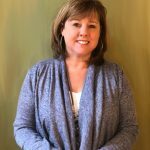 After earning a Master’s Degree in Education, an EdS degree and PhD in Counseling and Counselor Education, I began my private counseling practice here in Charlotte. After twenty years in practice as an educational and family counselor, and a mother to three CMS students, I was drawn to create a new and different educational resource for this community. We are a private school located in the Dilworth neighborhood of Charlotte. Our mission is to provide a small school environment with an individualized and integrated curriculum at a more affordable price. Kent Academy has a strong curriculum and regularly utilizes resources from the community through field trips. We want to reach families who feel this smaller, more personal school setting would benefit their child. We educate the gifted child and children with learning disabilities. We are not able to facilitate emotional or behavioral concerns, as students must be able to work in a multi-level setting with other children. If you have a child who would flourish in a smaller, more focused setting, then Kent Academy may be a great resource. I would love to have an opportunity to tell you more about our school. Please feel free to explore our website and call us for more information or to schedule a visit.